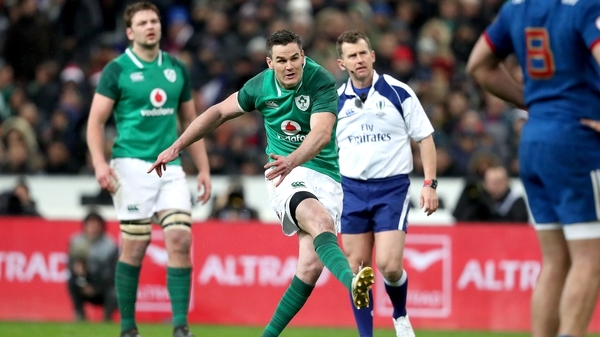 Ireland head coach Joe Schmidt has put his faith in Munster-bound Joey Carbery at out-half to face Australia in Saturday’s first test in Brisbane. The Suncorp Stadium is the venue (kick-off 11am) for the first of the three-test series, and Carbery will make just his third start for Ireland against the Wallabies in one of six changes from the team that completed the Six Nations Grand Slam in Twickenham back in March. Carbery, who has decided to move to Munster after struggling for game time in the 10 jersey, is partnered by Conor Murray at scrum-half, with the other change in the back line sees the return of Robbie Henshaw at outside centre. Regular out-half Johnny Sexton starts the game on the bench in Brisbane. The Six Nations back three of Rob Kearney, Keith Earls and Jacob Stockdale remains in situ, with Bundee Aki again the man in possession of the 12 jersey. The frontrow has a whole new look to it, with Jack McGrath, Rob Herring and John Ryan selected at the coal face, with Iain Henderson and James Ryan the preferred pairing in the second row. In the absence of the injured Rory Best, Peter O’Mahony will skipper the visitors, joined in the backrow by Jordi Murphy and CJ Stander. Ireland team v Australia: Rob Kearney; Keith Earls, Robbie Henshaw, Bundee Aki, Jacob Stockdale; Joey Carbery, Conor Murray; Jack McGrath, Rob Herring, John Ryan; Iain Henderson, James Ryan; Peter O’Mahony (capt), Jordi Murphy, CJ Stander. Replacements: Sean Cronin, Cian Healy, Tadhg Furlong, Quinn Roux, Jack Conan, Kieran Marmion, Johnny Sexton, Jordan Larmour. Follow all three Saturday tests between Australia and Ireland with our live blogs on RTÉ Sport Online and the RTÉ News Now app and listen to live commentary on 2fm from 10.45am (11am kick-off).